Thousands of years ago, philosophers like Socrates & Aristotle didn’t have iPhones or iPads. But they all had journals in which they kept an account of their lives. Socrates once wrote that the unexamined life is not worth living; that the key is to know ourselves. Wise words! For me learning about and experiencing the benefits of keeping a journal has been a gamechanger in my own life and for many patients that I have had the privilege of working with and supporting over the years in my capacity as their medical doctor. My personal preference is to do this first thing in the morning when it’s quiet and I’m focused. Others prefer late at night, or any time inbetween. Whatever works best for you. You see there is real power in writing things down. 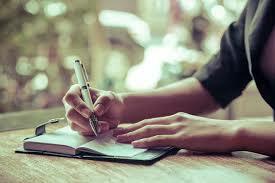 Connecting your brain through your hand to your journal by writing things down activates a part of the brain known as the ‘Reticular Activating System’ (RAS) which is extremely effective at filtering information and focussing attention. Bringing a sense of heightened awareness and tremendous clarity to what is written. I call it thinking on paper, teaching you objective perspective. In essence what you express in your journal becomes impressed in your heart & in your mind. People often ask me what will I write about? Anything and everything is one way of answering that question. But let’s get really specific. Here are three key ideas to consider, three ways that writing in your journal can boost your psychological fitness, emotional health & sense of overall wellbeing. #Write About Abundance & Appreciation. Expressing gratitude for what’s going well in your life is a sure fire way to enhance your inner happiness & wellbeing. Guaranteed. Gratitude is all about wanting what you already have in your life and being thankful, rather than focussing on what’s lacking. -ordinary simple things like the wonderful aroma of your morning coffee, the birds singing outside. The only rule here is there are no rules – you can write about absolutely anything you wish. People often say to me that they feel grateful which is great, but to reap the happiness & wellbeing boosting benefits of gratitude then it needs to be expressed. Plain & simple. And the best way to express gratitude is to write it down. By this I mean writing about how you feel. Simply put it is so much better to describe emotionally negative situations & experiences by writing about them in your journal than to pour them out into your life. In fact there is good evidence from positive psychology that this process can be cathartic and cleansing from an emotional health viewpoint. Encouraging you to be responsive rather than reactive. Giving you fresh perspective. Supporting you in reframing events through the lens of realistic optimism, building resilience and personal growth. # Write Your Goals Down. Writing your goals down with an action plan gives you enhanced awareness & clarity over what’s most important for you. Empowering you to use your time and energy regularly in a manner that’s consistent with your values and heartfelt desires. These goals may be long term, lifelong goals or those small 1% wins that you are focussing on today. Of course what gets measured gets improved. You can use your journal to hold yourself accountable, to ensure you stay on track. Like anything new, keeping a journal is a habit that need to be developed. Which takes time and patience. More importantly it requires you to have a clear understanding of why this is a good idea for you! While there are simply so many benefits to keeping a journal here are my top ten, all of which can support you in becoming more successful in life, no matter how you want to define success. #Figure Things Out; See Things As They Really Are, Heightened Clarity. #Opportunity To Reflect & Find New Perspectives. #Challenge Your Assumptions & Thinking Patterns. #Express Gratitude For What You Have. #Write About Your Values & How Your Life Connects To Them. #Reframe Experiences, Build Resilience & Realistic Optimism. #Communicate More Clearly To Others & To Yourself. #Express Emotion, Enhance Empathy & Emotional Intelligence. The bottom line is if you want a simple yet highly effective way to boost your psychological fitness, enhance your emotional happiness and increase your overall wellbeing, then keep a journal. If you’re like most people, tremendous benefits await you from this health & happiness boosting habit that takes as little as 5-10 minutes a day.